Decorator’s Art is a supplier of original Australian and international art and exclusive limited edition canvases from established and emerging artists. According to your project needs, we can commission artwork or source from our extensive network of artists and suppliers. Our projects range from large scale commercial developments to private residential projects. Our clients include: interior decorators/designers, retailers of fine artwork, display homes/property developers, hotels, restaurants & cafés, corporate offices, retirement villages/aged care accommodation and residential property owners. We work collaboratively with you in determining the most suitable artwork to enhance their interiors. Our in-showroom design and consultation services are free. A small fee is charged for onsite consulting services. If preferred, based on a brief for your project, we are able present a proposal including the suggested pieces and finishes. 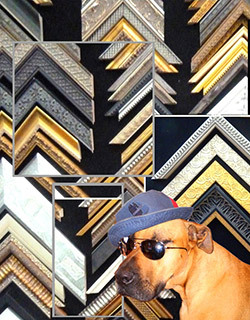 We do not frame in-house, however we can provide you with framing options and quotations from reputable suppliers. We will shortly be moving into new premises. In the interim, you can email or call to discuss your design requirements.